SQL Sum () function is used to retrieve the total sum of values of a numeric column. 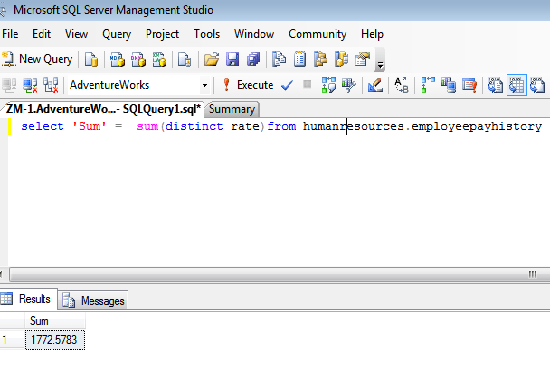 In this chapter, you have learned about SQL Sum () function with an example. In the next chapter you will get some question based on retrieve topics such as select, top, between, where etc. so click on the NEXT button to continue learning.